Summit Park is pleased to announce its partnership with Bob Gallagher, Co-Founder and former President and CEO of Carlisle & Gallagher Consulting Group, and Jim Folds, former Executive Vice President of Carlisle & Gallagher Consulting Group, who will work alongside Summit Park to execute a buy-and-build strategy in the technology consulting and professional services sectors. Messrs. Gallagher and Folds bring with them significant operating and industry experience that will be valuable in positioning investment targets for the next stage of growth. Carlisle & Gallagher was a leading financial services consultancy with deep industry expertise in consumer and commercial banking, wealth management and capital markets. The business was founded in 2002 and was acquired by NTT Data in 2015. 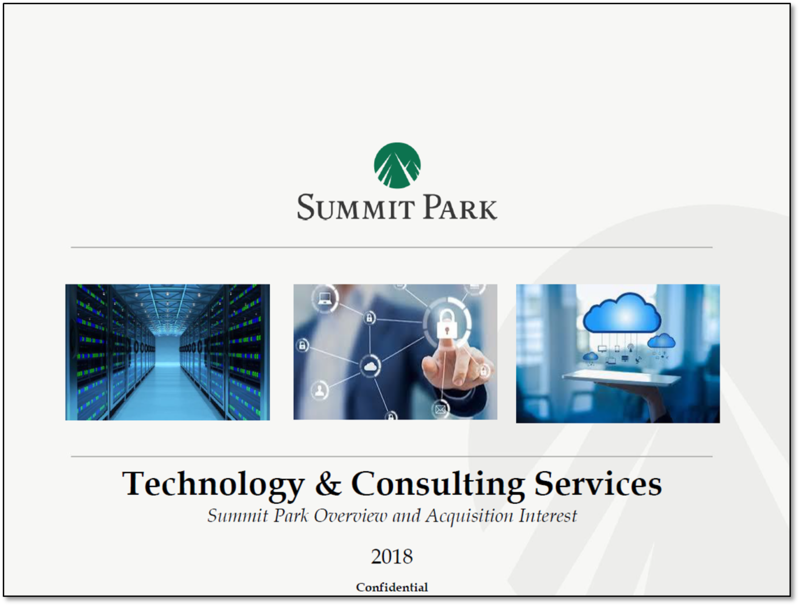 Summit Park is actively identifying and evaluating investment opportunities in the IT services sector with a focus on acquiring an initial platform with $4 to $15 million of EBITDA from which to grow via add-on acquisitions and organic growth initiatives. Our goal is to create a multi-service platform serving the IT and digital transformation needs of businesses. To discuss this strategy and relevant opportunities, please contact Rachel Hannon at Summit Park.